Who Advises Change Agents Worldwide? 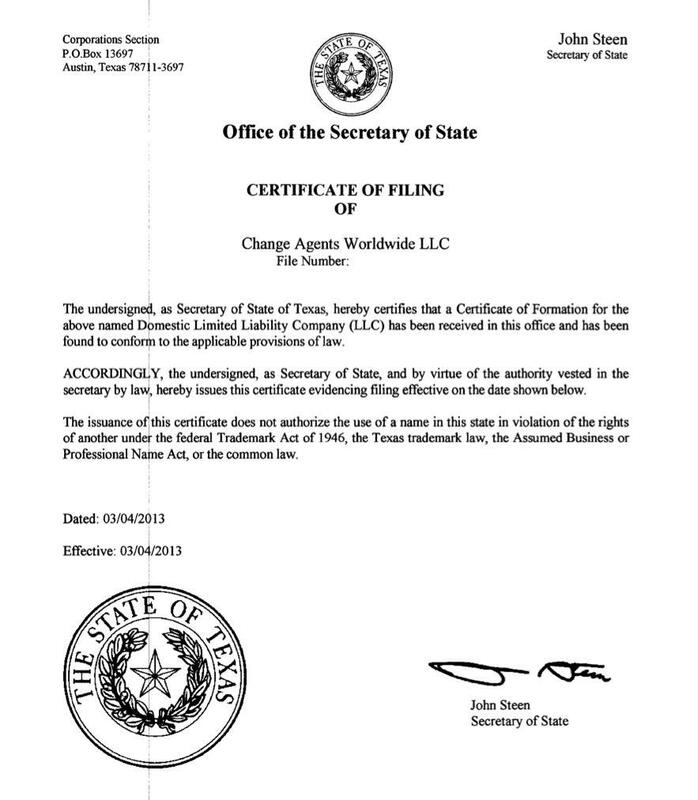 Today marks our official birthdate as recognized by the great State of Texas. From the beginning, we’ve had a small circle of advisors to help us with fundamental business decisions. On our AngelList profile, you will see Esther Dyson, (needs no introduction), Marshall Kirkpatrick, CEO and CoFounder of Little Bird, and our most recent advisor, Jan Ryan, who is heading up the amazing Women@Austin program here in Austin, and is foremost an accomplished executive in the Enterprise and Social Software sector. Each one of our advisors has helped us with a thorny issue, or has been a source of encouragement and support. We are very thankful for the time they’ve given us, as well as their wise counsel. As we turn into our second year of business, we’ll be adding more strategic advisors to help us with specific guidance on legal and financial matters, customer service, and software partnerships. We’ve been lucky to grow organically this year, but we could be interested in investment as we continue down our path. As we’re learning more about our opportunity to execute on our progressive model, capital could help us scale a little faster. But, for today, we’re still testing and refining our business model with customers. So far, so good!